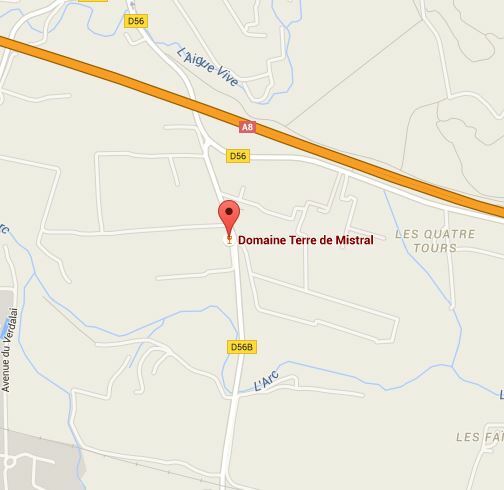 The Domain Terre de Mistral is at your disposal! Do you have a question? Need more information about the vineyard or the olive mill? Want to book a guided tour of our wine cellar and enjoy a wine tasting with friends or co-workers? We want to know everything: you can write to us, call us, come and visit us! The whole team of Domain Terre de Mistral is at your ready to hear from your and will be happy to answer within 24h00. All roads lead to the domaine Terre de Mistral!